Jeff Deyo invites you into a conversation about worship in a book that was written for anyone seeking to experience the Lord in a deeper way. Does God’s presence seem distant? Do you have a friend who has grown numb to the things of God? Have you given up on hearing God’s voice in the way so many authors and preachers talk about? Are you ready to awaken your life to a vibrant, one-on-one relationship with the Father once and for all? Are we truly present in God’s presence? Do we encounter songs, artists, and atmospheres without encountering God Himself? What do we do when we lose the emotion that often surrounds worshiping God? Why are so many of us tempted to put ministry for God above intimacy with God? Are we unintentionally worshiping the image of a false god when we cherry-pick easy-to-swallow scriptures about God’s character? Can the good work of serving the poor and moving in the supernatural cause us to miss the one thing? Do we allow potential embarrassment to keep us from loving and worshiping God extravagantly? Shift your perspective on relationship with God from obligation to invitation and rediscover authentic worship that reaches from the secret place to the marketplace. Jeff (however you pronounce his last name) has been a friend and mentor for many years. What he talks about in the pages of this book is none other than pure gold forged. The kind of metal, value, that only arises from the process of a life that has been awakened from the ashes. Who Jeff is off the stage, with real people, in real places makes this not a book to read, but a voice to be heard. Finally, a book on worship by Jeff Deyo! 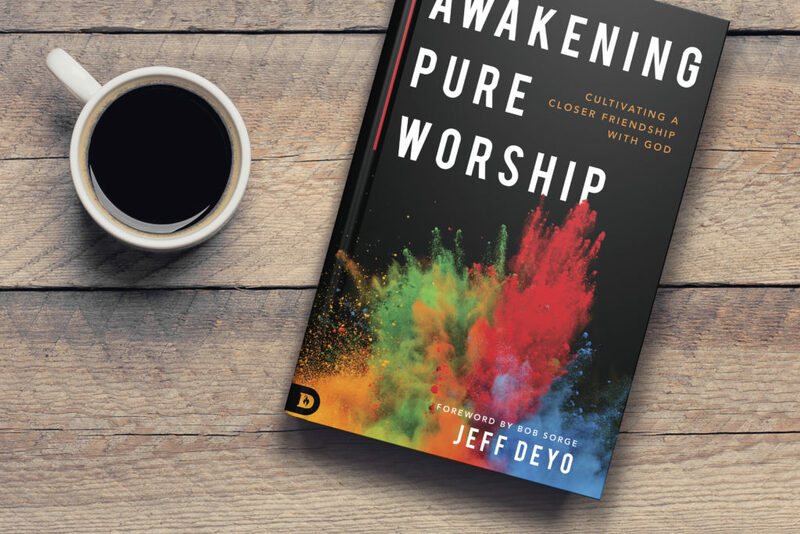 Jeff Deyo’s new book, Awakening Pure Worship, draws from his experience from his role as the front man for Sonicflood to his present role as Worship Arts Professor at North Central University. Jeff wonderfully guides the reader on a relaxed and personal journey into a greater understanding of this beautiful thing we call worship. A bridge builder by nature, Jeff invites us to cross over into new ways to look at and experience a life of worship. You’ll feel like you’re sitting right there next to him as he unveils one magnificent nugget after another. I highly recommend this book for everyone, from the casual singer to the die-hard worshiper. Awakening Pure Worship is a delight! Jeff Deyo is putting words to his soul with this call for resurrecting the life-blood of the church. We need a guide to navigate the terrain of time and resources being dedicated to worship, and Jeff is that guide. Lots of people have written books on worship. Jeff Deyo has lived a life of worship. Both on and off the stage, his life and ministry serve as shining examples of what Awakening Pure Worship really looks like. As his home church pastor, I highly recommend this book not only for those who lead others in song, but for anyone desiring to experience the presence of God every day of their life. 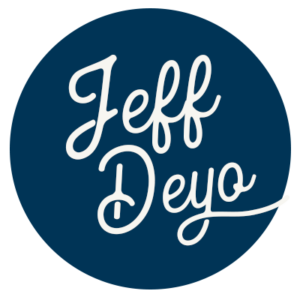 I have known Jeff Deyo for many years—from Sonicflood, to his time as a professor at my alma mater, North Central University. Throughout our long friendship, I have always known that Jeff is a true worshiper, which is why his heart of worship is so very contagious. Every person needs to hear Jesus’s call to a transformational relationship with him. Throughout the pages of this book, Jeff shares profound and practical insights into the reasons why we worship, the One whom we worship, and how worship can be an authentic way to respond to God’s grace from a place of honesty and brokenness. From the worship leader to the guy sitting on the back row, I highly recommend this book.